South America has its first luxury sleeper train. 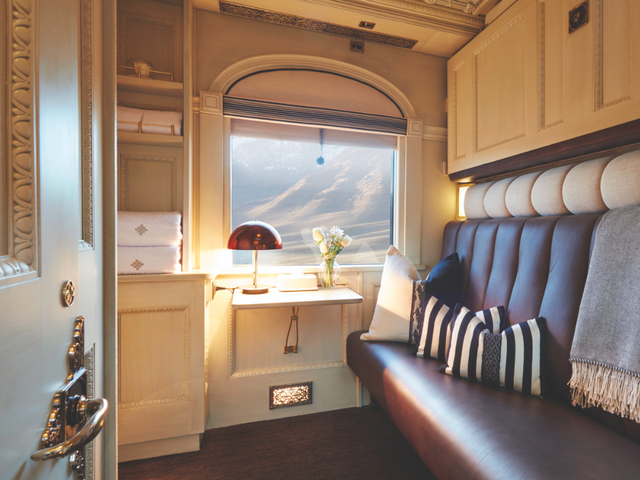 The Belmond Andean Explorer pioneers a new way to discover Peru on its two-night journeys at altitudes of up to 4,800 metres climbing in the Andes en route from Cusco to Arequipa. It's one of the world's highest rail routes, and you'll be glued to the large picture windows as the elegant carriages take you through some of the most breathtaking scenery on our planet. Expect to see vast, uninterrupted views of snow-capped mountains, never-ending skies, majestic lakes and herds of alpacas, llamas and vicunas grazing on the altiplano. 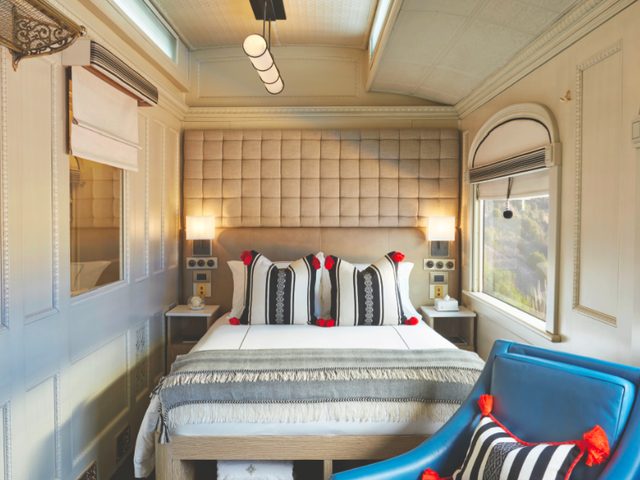 The design of the sleeper cars reflects Peruvian culture, mixing vibrant colors with natural tones and large picture windows offering the perfect vantage point of the ever-changing scenery as the train winds its way through the Andes. The observation car with an outdoor terrace becomes the social hub of the train by night; a place for the train's up to 48 guests to enjoy a pisco sour and dance to live Latin music. 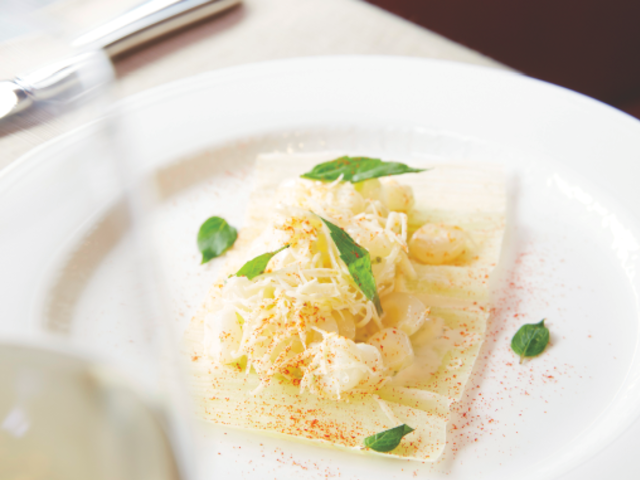 Peru's famous chef and culinary ambassador, Executive Chef Diego Muñoz, has been tapped to develop menus. His cuisine takes guests as they travel through the mountains on a simultaneous culinary journey of discovery of Peru’s abundant traditional natural ingredients: fresh fish from the Moquegua coast, trout from Lake Arapa (located in the Puno region), broad beans and lemons from Cusco, mushrooms, beets and corn from the Sacred Valley, Peruvian native potatoes, and quinoa from the Altiplano. The culinary team transforms them into sensational mouthwatering dishes that carry Muñoz’s signature style, like Alpaca Tortellini, Banana and Pisco Tatin, Arequipean Paw Paw Mostarda and Lima Bean Cappuccino. All enjoyed from the comfort of elegant dining carriages overlooking the region's spectacular scenery. The train takes guests from Cusco to Arequipa via Lake Titicaca, on a two night/three day ‘Peruvian Highlands’ itinerary, priced fully inclusive of all meals, an open bar and scheduled excursions, including visits to the archaeological Inca site of Raqchi and the ancient Sumbay Caves. Stepping off the train, experiences include a private tour of the floating islands on Lake Titicaca, the highest navigable water in the world, and lunch on a private beach with views across to the glacial peaks of La Paz, Bolivia, truly one of the most exceptional locations on earth. 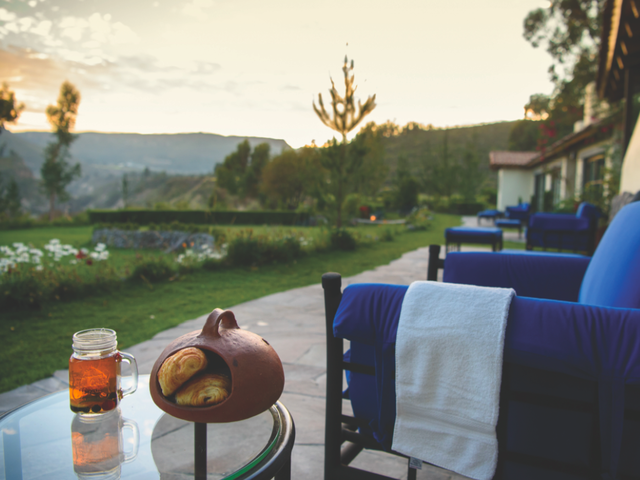 In addition to the Belmond Andean Explorer, the company has also opened another hotel in Peru: Belmond Las Casitas, a 20-room property located in the Arequipa region of Southern Peru is set amongst the tranquil beauty of the Andes. Blending effortlessly with the natural environment, and nestled amongst lush gardens, each individual casita features a private terrace with a heated plunge pool and sweeping views across the canyon. The Samay Spa, built around the energy of the canyon rock, offers treatments using natural ingredients from the hotel’s kitchen garden and hypnotic views of the surrounding canyon, inspiring deep relaxation. 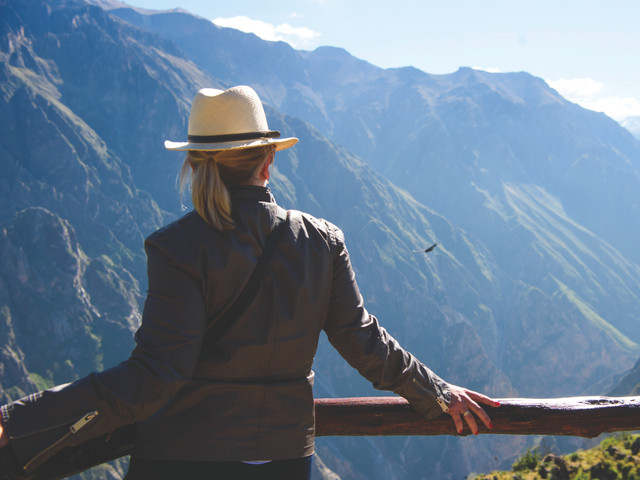 Belmond Las Casitas also offers one of the most unique guest experiences in the world – a chance to view the flight of the Andean condors in their natural environment. Belmond Las Casitas and Belmond Andean Explorer further enhance Belmond’s luxury travel experiences in Peru, now with six hotels and two luxury trains: Belmond Miraflores Park, the stylish city hotel in the quiet neighborhood of the bustling city; Belmond Palacio Nazarenas and Belmond Hotel Monasterio in the heart of ancient Cusco; Belmond Sanctuary Lodge, the only hotel at the entrance of the Citadel of Machu Picchu and Belmond Hotel Rio Sagrado, a complete escape in the Sacred Valley. Plus, Belmond Hiram Bingham taking guests from Cusco to Machu Picchu with typical lively Peruvian hospitality. 2500 entries. 13 cruise lines. All competing for the title of 2017 Bacardi Legacy Cruise Competition Bartender of the Year. The finals took place in Miami in February in a live competition judged by a panel of cocktail and spirits experts, held at award-winning restaurant Alter in Miami’s hip Wynwood neighborhood. Norwegian Cruise Line’s Wade Cleophas came out on top of the 'spirited' competition, and now wears the crown of Bartender of the Year. His perfectly presented cocktail was artistically finished off with a garnish resembling the sails of a merchant ship and the wings of the Bacardi bat. A key element of the competition was the requirement for finalists to promote their cocktail around the world. In the three months that Wade was promoting Legend River Reviver, Norwegian sold almost 2000 servings of the specialty drink. We think that's a strong vote for Wade's creative mixology. Wade began his bartending career over 12 years ago, starting out in his hometown of Cape Town, South Africa, progressing to work with many leading bartenders in Dubai and Miami, before joining Norwegian Cruise Line. 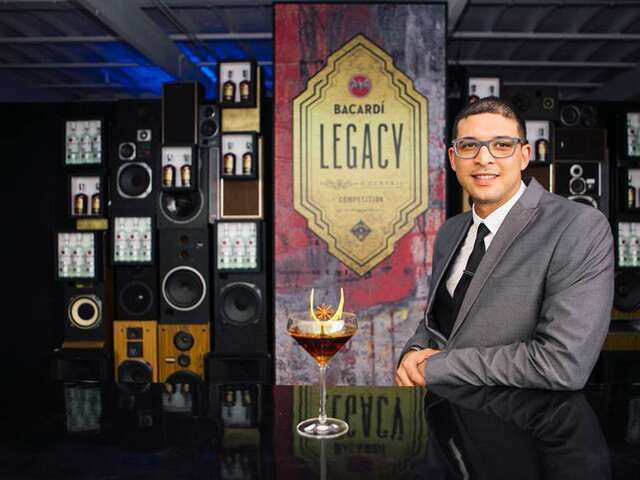 Wade will now move on to The Bacardi Legacy Global Cocktail Competition in May in Berlin. It's a global search to find a cocktail that can stand the test of time to become a true Bacardi classic; a cocktail that can stand shoulder-to-shoulder with cocktails of legends, such as heritage classics like the Daiquiri or Mojito. In the meantime, you might be able to sidle up to the bar to taste his magic with a cocktail shaker; Wade is the Assistant Beverage Manager onboard Norwegian Escape, sailing weekly from Miami to the Caribbean. Video: When is a Cruise not a Cruise? 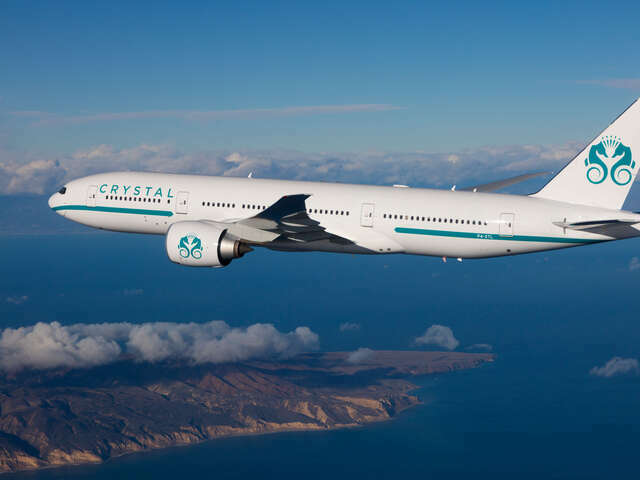 Crystal Cruises has deconstructed luxury cruise travel and put it back together again, re-imagined. In addition to the luxury, small ships that put Crystal on the map, the new, 'All Things Crystal' includes river cruises, yachting, expedition cruises, and most breathtakingly: air cruises. Imagine, a whole 777 aircraft made over as a 'cruise' for only 44 couples - that's 88 passengers! BestTrip.TV enjoyed a conversation with All Things Crystal President & CEO Edie Rodriguez, who shared with us the exciting evolution of legendary luxury travel.